â��Linearity and Curvilinearityâ�� is a particularly unique and beautiful piece, which speaks of the strength of flowing consciousness and the natural world in contrast to the grid of western society. Neither the organic nor the constructed world is necessarily more beautiful than the other; rather, they weave an alluring pattern. 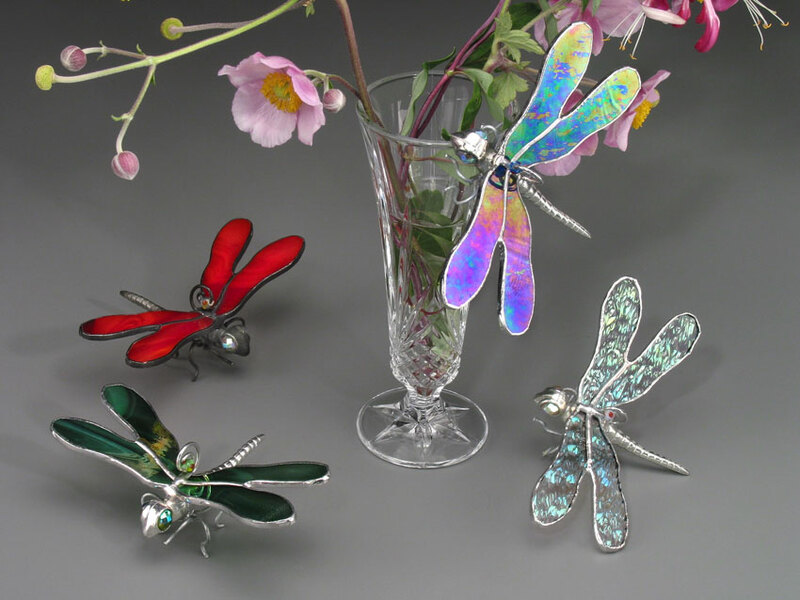 The dragonflies are each lovingly handcrafted with pewter bodies, beaded eyes and iridescent glass wings. While they are beautiful suspended in flight or sitting on a window ledge, they are especially striking clinging onto vases, plant pots, lamps or photo frames. The dragonflies can also be garden ornamentation. A trio of dragonflies and a beveled diamond comprise â��The Mobileâ��; at once graceful and striking. Each dragonfly comes with a card explaining the symbolism of the dragonfly and the colour symbolism for the dragonfly chosen. Epiphany Designs has passionately embarked on the development of a line of exquisitely crafted lamps. A collaboration between glass artist Cory Judge and carpenterâ��craftsman Peter Danniels, inspiration is shared and ideas are exchanged throughout the design process. 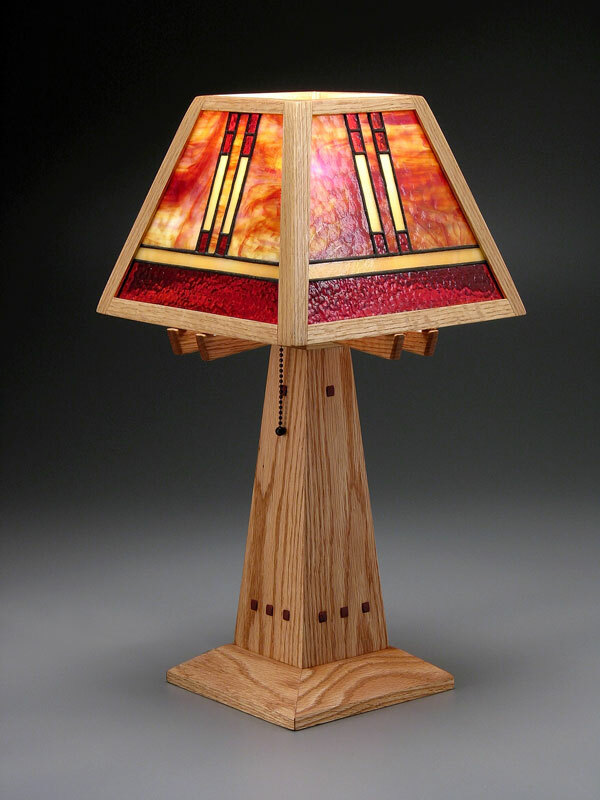 Influenced by craftsmen such as Charles Rennie Mackintosh, Frank Lloyd Wright, the Greene brothers, Peter and Cory seek to honor the beauty and excellent craftsmanship of the Arts and Crafts movement in the design, quality and elegance of these lamps. 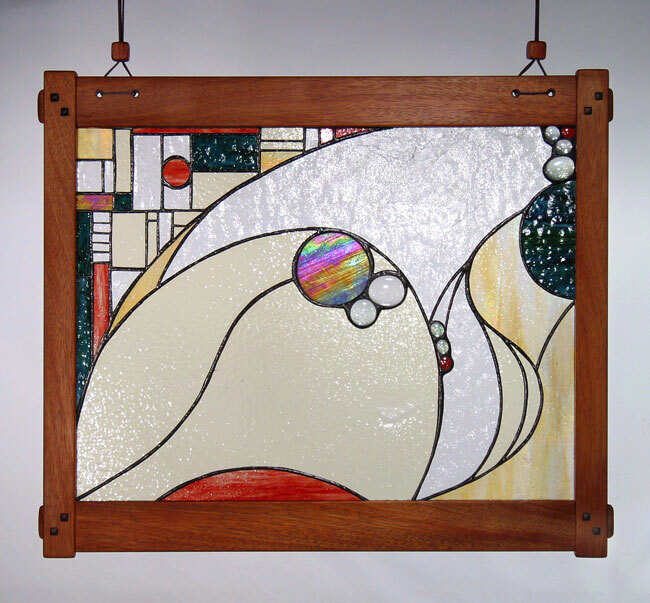 The stained glass panels are created by Epiphany, while Peter constructs the wooden base from traditional â��craftsmanâ�� style woods, such as quarter-sawn white oak and Honduran mahogany with bubinga and ebony accents. The panels and base are united to complete a masterpiece of classically-inspired home dÃ©cor. Designed and built for longevity, these lamps will surely become much loved family treasures as they pass from generation to generation. Materials: This table lamp is made entirely of Red Oak, with raised, square pegs of Bubinga as accents, and is finished with several coats of Tung Oil. Electrics: Single, solid brass (pull chain) socket. The hand held mirrors are at once utilitarian yet decadent. 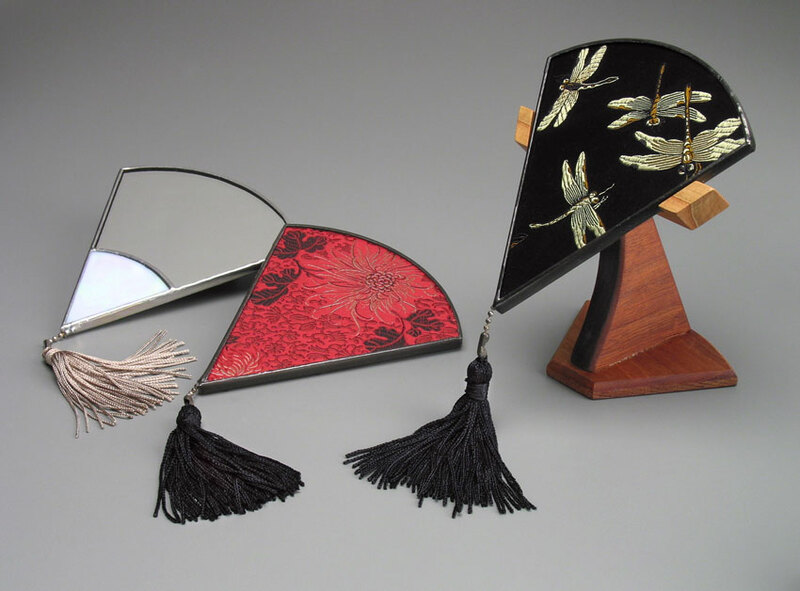 Each mirror is composed of cut mirror and glass back with an opaque glass handle. Sandwiched between the glass and mirror back is a piece of high quality Asian brocade to provide a unique backing. Together this assembly is foiled and soldered together, finally completed with a silky tassel to create aesthetic balance and grace. The magic wands are fun for both youth and adults! 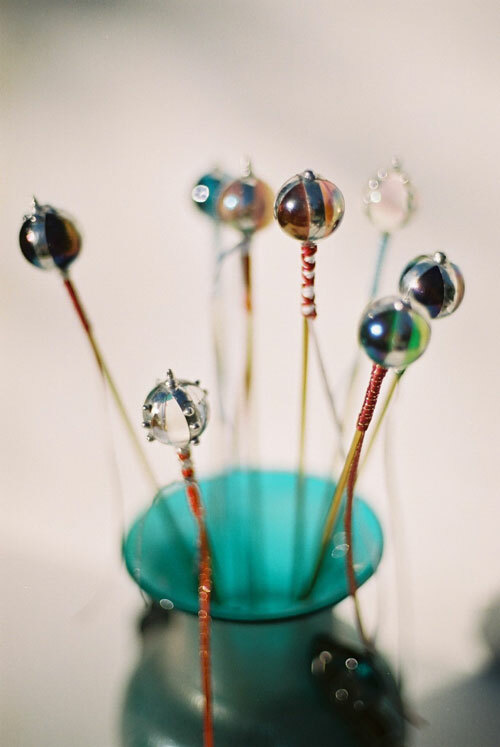 They are created from iridescent marbles wrapped in foil, some twisted with thin wire, and then soldiered to a brass rod. The wands are finally wrapped in thin ribbon to complete their elegant appearance. Only for casting good spells! !